We’ve built a Spotify app for Matador Records! Spotify is an awesome music streaming service launched in 2008 by a Swedish startup. Just recently it became available in 14 different countries including US and UK. What’s rather interesting about this particular music streaming service is that at the end of last year they introduced an app platform. 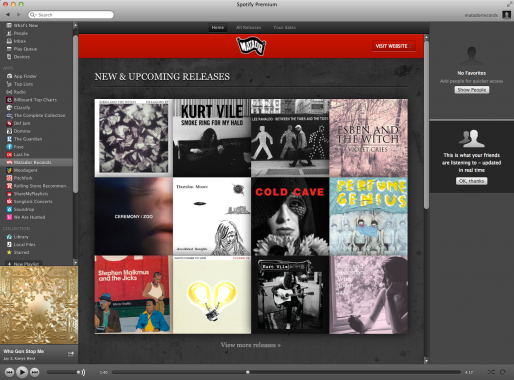 It opened up a whole new world inside the Spotify desktop client. There were various cool apps released in the first batch, like Last.fm and Moodagent. Be sure to check them out if you’re a Spotify user. But the first batch of apps was just a start. Two weeks ago, a second batch of apps went out. And we are proud to be a part of it. We got an opportunity to build a Spotify app forÂ Matador Records. It’s a well-known independent record label famous for their indie rock artists and bands.Â So we jumped on the opportunity and went to work. The goal was to create a simple, but usable and useful app that will provide some real value for the end user. While we had a bunch of cool ideas, due to the tight deadline, we needed to restrain ourselves and focus on the most important information we could provide. So we concluded that what Matador Records music fans really care about are releases and tour dates. After about a week of development, here is what we got. 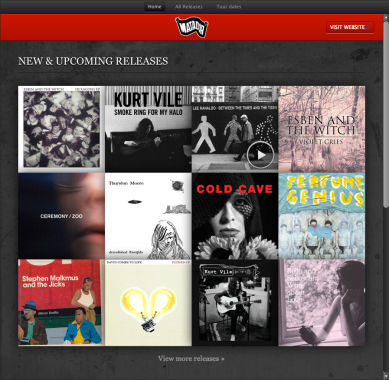 On the home screen you can see new and upcoming releases. Upcoming releases appear only if announced, though. 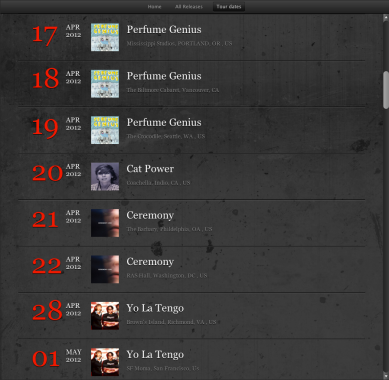 If you scroll down a bit, you can see the upcoming concerts from Matador Records bands. 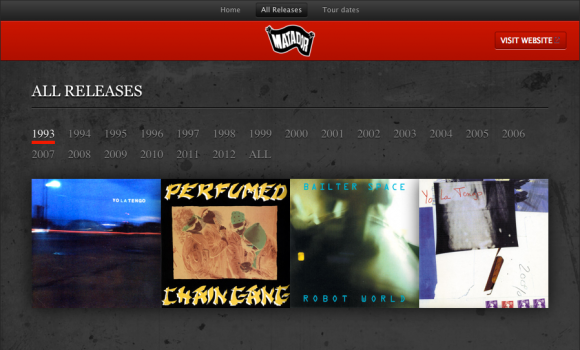 If you want to explore further, All releases tab shows the whole history of Matador Records releases. Most curious fans will definitely want to check out some of the older albums from early 90’s, which they can easily filter out in the app. Although listening to the music via Spotify is awesome, both at home and on the go, what every true fan really wants is to see the band performing live in her or his neighborhood. 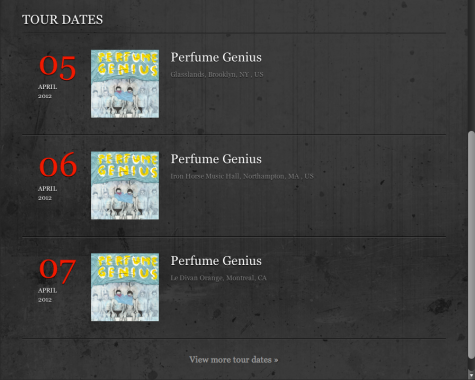 That’s why Tour dates tab contains all concerts planned for this year with dates and locations. Initial feedback from the users is very positive and there are also improvement suggestions. We are aware there is room for improvements and we hope to have them in the app soon. We invite you toÂ check out the app and let us know in the commentsÂ how you liked it. ever increasing depth strength actual exercise in resulted in an enormous take up bone mineral body of the larger trochanter intended for both women and men.